Numerous requests to convert content and run it on mobile devices, tablets. Communication failures even after the certificate is granted, where the learner has a certificate but is not marked complete in the LMS. Enabling offline scenarios could help here too. Location, time zone, and language are key aspects to launch a course. Content can change based on the context. Mobile content should be concise in terms of duration and file size as users will not wait. There should be a way to embed or reference a forum from content, and restrict access to students taking the course. A standard API for generating reports would definitely be beneficial. Learning will follow the web with increasing bandwidth resulting in more video, 3D simulations, virtual worlds. SCORM should be able to track synchronous learning such as Webinars, but then it should also be captured for playback later as a SCORM package. Focus on assessments is important. I am currently working with a company called Origin Learning, as Head of technology, and we furnish content to both corporate and education customers, but predominantly to corporate. My experiences are in programming, learning products, e-learning courses, and classroom training, interactive whiteboard products. In the past, I have worked in multiple roles, as a programmer, as a project manager, and now I manage the technology practice here. My responsibility is to hire and train programmers, and also manage the overall technology strategy for the company. So that’s a brief introduction about me; I have around ten years’ experience in this e-learning industry. 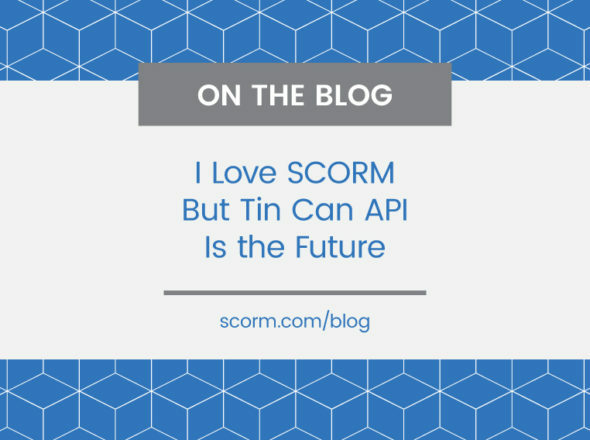 I have gone through your website to read a few discussions regarding the features, which are wanted by many members, and I think you have covered quite a bit there, and anybody who has been working on SCORM as a standard is looking for those. There is so much happening in the market – you have new devices tablets and devices that can be used both by companies and individuals. What you are getting is a lot of requests to convert their existing e-learning courses to tablets. We didn’t have these kinds of requirements on mobile devices when the Smartphone was introduced, mainly because of the form factor. We know that what is running on a PC cannot be transformed into a mobile device as is, but it can be done for a tablet. The tablets are changing the scenario, but the challenge we are having is though the tablet is a similar form factor to a laptop, it still has an operating system of a mobile. We are currently working on quite a few projects using HTML 5, and soon we will have a working sample ready with SCORM tracking. Apart from new form factors, we have collaborative learning and virtual worlds, so, I have used the virtual world on Second Life, and there are SCORM-tracking options developed by third-party developers, but these are workarounds. Some of the discussion points in your forums already cover this, so there’s nothing extra that I can add there. There’s one point that keeps coming up when we execute projects and that is when the client comes to us saying, “I want SCORM 1.2, or 2004, or AICC, but I can’t give you access to my LMS”. So, we have to depend on a test suite or an open source LMS (Moodle). But what happens is that there are a number of times the content works fine in the test suite, but it does not work with the client LMS. And the final nail in the coffin is when the LMS vendor says, “I have certified my LMS, so there is something wrong with your content”. This is a relationship nightmare and as a content vendor, there is very little we can do. This means that there are varying degrees of compliances that are being followed by the authoring tools and the LMS. This is something we come across very often and before long unfortunately becomes a relationship issue. There have been a number of people too, saying that it would be helpful if either the test suite or just the standard somehow, could be made stricter so that that sort of situation, where you can pass the test suite and have communication problems with the LMS, can be avoided. I have had people say they want to track virtual worlds, but no news on tracking Second Life — what sort of challenges did you face and what sort of workarounds did you use? The project I have worked in the past was for one of the largest companies in the world, who are into energy business. They asked us, “can you create an environment in Second Life and we will simulate an accident or outage of a plant within that, and we’ll ask the user or learner to get in and then there are certain steps to be followed during an emergency”. We created a kind of factory setup, where if a part of the factory has had an accident, or a fire, there are some procedures one must follow, like shut off the power, etc. And of course there is a definite sequence to be followed for every type of emergency. So, we have created a training module in which we track whether the learner is following the steps, the sequence, and completing everything. We must also estimate phone calls, and other things. So the bigger challenge was, okay, everything happens in Second Life, but how do we know if these things happened outside Second Life? So what we did was create a HTML-based communication and using Second Life player provided an option to post to a HTML page – our web page. And then from there, we picked it up and updated the LMS. This is not a live course now due to various reasons. 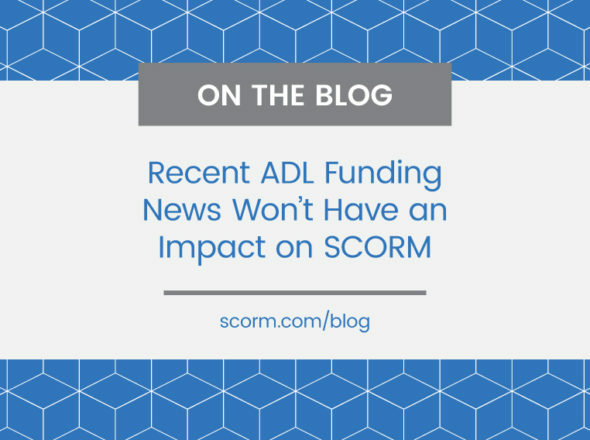 But we have understood that there are limitations with SCORM when it comes to non-browser-based tracking, so we had to work around the existing structure. Did that go pretty smoothly? How much of a problem was it to have that communication through the HTML page? Was it a big headache, or a hoop you had to jump through and then everything worked fine? A lot of headache, but they are not because of SCORM; it is because of Second Life’s architecture and the model. Because the data is always residing in their server and there is no session that gets created when you start training, the tracking is not exactly synchronized. It makes the LMS is completely external to Second Life. And after a few trial and errors, we figured out that there are third-party tools where you can communicate to LMS from second life. But we did not have the opportunity to try any of them. Those tools, if you import the object inside Second Life, it starts a session with the LMS and it takes care of the communication, without any external web APIs. In fact, we dropped using Second Life after that project, because of many other usability and security issues within the client’s technology environment. It was two years ago and the situation could have improved a lot by now. Were some of the issues you ran into communication-related (with mobile devices) or just around getting the content to look right and run on those devices? I have one more point, maybe this is something to be addressed from an LMS, that there are instances with SCORM compliant courses, the users come back and said, Okay, I’ve finished the course, I got the completion certificate, but the LMS doesn’t update the status. This could be due to communication failures or a browser crash. But we can’t ask the user to go through the course again. We have resolved it by creating a manual grading system for the instructor to go and mark the completion for the user. And what happens in that case is that we go ahead and push the completion data into the database. We have encountered this in Moodle and it does not allow manual status over ride out of the box. But I’m not sure it is something SCORM can address. The only way is to commit data to the LMS multiple times during the process. This is a lot of traffic to the database. It could be. Some people have asked for instructors to be able to set score to grade an essay question for example. It’s not the same use case, but the same fix could apply. I also think of perhaps there should be some focus on why do communication failures sometimes occur, and what best practices can be suggested, or what can be done in the API to make sure that at least the course is aware when communication failure happens. Okay, I have noted that there is already a lot of discussion around offline tracking. If we can achieve that through the standard, this problem could be resolved. In majority of cases the issue is due to communication failure or too much traffic to the server. So if offline tracking is enabled, so either something in the background would try to get that status across later, or next time they launched courseware on their local machine, it could sync up. When learners have a learning experience, what do you or your customers want to track? From what I have noticed, a majority of the time, the customers want only the basic data to be tracked. Like the bookmarks, completion status, and the score. For additional functionalities and features you also send and receive random data which is specific to the course. There are many other data which could be tracked, but I rarely see them utilized as the awareness level is low amongst the course designers and clients. When some courseware launches, what should it know about the learner that is taking the course? Generally, when the course gets launched, we get the session information and user profile. We hardly use any of them other than a few like their first name, last name, while generating a certificate. We have worked on both the LMS and course deployment projects. On the wish list I assume getting the geo-location of the user will help, as we can decide on the language based on the location. We can make some recommendations, as the world is moving toward a dynamic web. 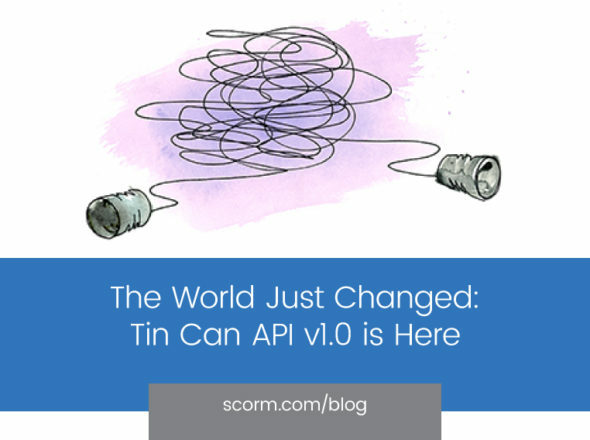 Another key point I have noticed is that the current SCORM standard is based on the paradigm that the content is going to be static and we wrap all this progress-tracking, course-tracking around it, to make it searchable, scalable, re-usable etc., In the world of dynamic web, what if the content itself needs to be changed? It could be a geo specific content, time-zone specific information or a country-specific course. If SCORM can be improved to handle this the course can look different for different users. This helps, when we design courses for mobile phones, we should understand that people won’t wait for a long time to go through an hour of eLearning holding their phones. So it should be concise, very specific to location or the context they need. So any data from LMS which indicates the context would help to address the next generation of users. In talking about a dynamic web, and content possibly needing to be changed, you mentioned context too: is that still static content that based on some context, selects which parts to run, or, content either being updated after it’s initially packaged, etc? I am talking about using a wiki page or a link to a good YouTube video. There is so much open content available on the web and some of them are very good. You create the course structure, and the meta-tags associated with each topic in such a way that the course will pick up videos/content from open web. But just drawing a parallel here for context sensitive content, let’s say I have an expert video within the course. I want this video to change according to the learner’s location or any other contextual information. For example, the course can detect where I am from and the expert/agent who is presenting the course can change accordingly. This means the expert will always be a person, someone whom I may know, from my country. Currently, we are deploying individual courses for different countries/languages. Instead of that, it can be one course, and then it smartly changes content, according to the user or the context. If you wanted to use a wiki, do you just reference the wiki, or do you see a need for content that is not in a wiki itself to somehow be updatable by learners through SCORM or something like it in some way? I would say Forums would be much more effective than a wiki especially when you have learners with varying knowledge levels. On a wiki, they could just go ahead and modify the base-content and there is no end or control to it unless specifically implemented. We might end up with fewer facts and more opinions around. A Forum will allow you to have an expert close a discussion and it will maintain the history of the posts. If you wanted to include a forum in your courses, is there anything you would want to have in the API that handles communication between the LMS and the course to support that, or do you figure you can pretty much do that now? Currently, what we can do is have an iFrame within the course and embed a forum/wiki inside that. However, the challenge is how we make sure that’s relevant for the current learner. It is better to have course specific forums created and linked to the course. If the LMS can provide information for filtering the form posts, we can set rules on what should be displayed for a specific user. It could work like Facebook notifications where you can see only what your friends post. So either the ability to actually use the LMS to store the forum itself and have the course load it itself, and have the LMS security model, or just use the LMS’s security model if you have some sort of integration with forum software that would allow using those course sessions as a single sign-on into that forum, so you knew that only people who were in the right section of that course could access that forum, that would be beneficial? Going back to the data — how do you or your customers use the basic tracking data? The majority use the data to track who has completed, who hasn’t, to send them reminders to follow up. The grades are used to evaluate individuals or it can be passed on to the HRIS system where it is used for performance appraisals. The assessment score or responses are used to evaluate the learner’s understanding of the content. But we have also observed that it is used to analyse, whether the learning content or tests are simple or easy to understand. When we see a particular learning object that people constantly fail, it might be true that it is too difficult. So the scores are used, especially when we track it by the individual assessment questions, to evaluate the effectiveness of any learning object and modify it accordingly. You mentioned HRIS systems — do you find that people track the data into the HRIS system, do you think there’s a need for standardization on that end? Either from content all the way into the HRIS, or to say that an LMS that supports this content standard also can support being queried, so potentially there’s a standard way to hook into the HRIS for results? So far we haven’t come across a conflict, because the content of a SCORM course always confines to the LMS logic and the LMS is integrated with other systems. We have noticed a few instances where the client want some reporting to be developed which is not supported only by the LMS out of the box. In such cases we straightaway query the LMS database. The only concern is that each LMS may have their own table structure for storing SCORM data. If we can standardize the database tables we can have standard APIs for generating reports across Learning Management Systems. What do you think about e-learning will or should change in the next 5 -10 years? E-learning is following the web. Long back, we had the text-only web pages and so we had courses with text and images. Later, flash proved to be easily portable on a bandwidth constrained web, so we were having flash-courses with animations and interactivities. Now with bandwidth limitations going off, we can have video-based courses (emergence of YouTube) and even 3-D simulations, and virtual worlds (Second Life). On the other side we are witnessing the usage of computers going down as people use alternate devices to access web. Years ago people used to sit and read lengthy blog posts, and articles from the web. But now nobody has time for all that. We are on Twitter and Facebook. So you get small packets of information, but only what is relevant, up to date. The content may look meaningless if not read on time. Considering the trend, e-learning will move towards that. Who knows, maybe we’ll rejuvenate classroom training, supported by cutting-edge technologies. The classroom itself can be virtual and then you can have all these Twitter kind of interfaces, to be in touch with participants in real-time. The learning can be a 24X7 affair. The concept of packaged content will slowly go down. It will still be there for very specific and exclusive content from experts but people will expect the content to be updated using collaborative technologies. With the division disappearing between classroom training and e-learning, are there any other capabilities you think would be needed in e-learning run-time communication to handle the fact that you might have more classroom training alongside it? In the past few years, there are many requirements, to convert Webinars, into e-learning and make them SCORM compliant. The client will have an instructor-video, a PowerPoint slide, and a voice over to combine and given as a SCORM compliant module. If possible we can come up with standards for this webinar or virtual class room tools. The process of publishing an eLearning module can then be simplified. Is there anything you have wanted to say but haven’t gotten to yet? SCORM works well with sharing content objects and tracking status and progress. It does not offer a lot of features when it comes to tracking assessments. For example, if SCORM could, store and retrieve what were the first and second and third attempts for each question, it will give a better understanding for the learner while reviewing them. We are implementing it currently by sending the information as random string data. I am not sure this is something which can be addressed through SCORM but thought of mentioning this.